Prevent venous stasis with the VascuEase™ Portable DVT System. 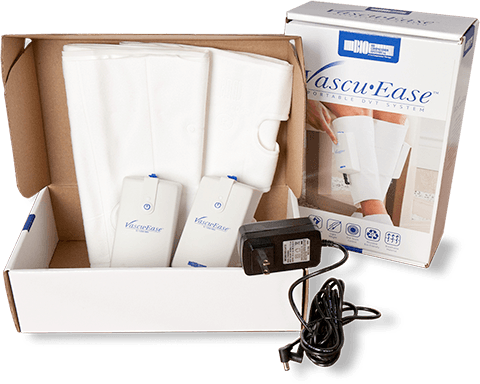 VascuEase™ promotes maximum comfort, compliance, and positive results. 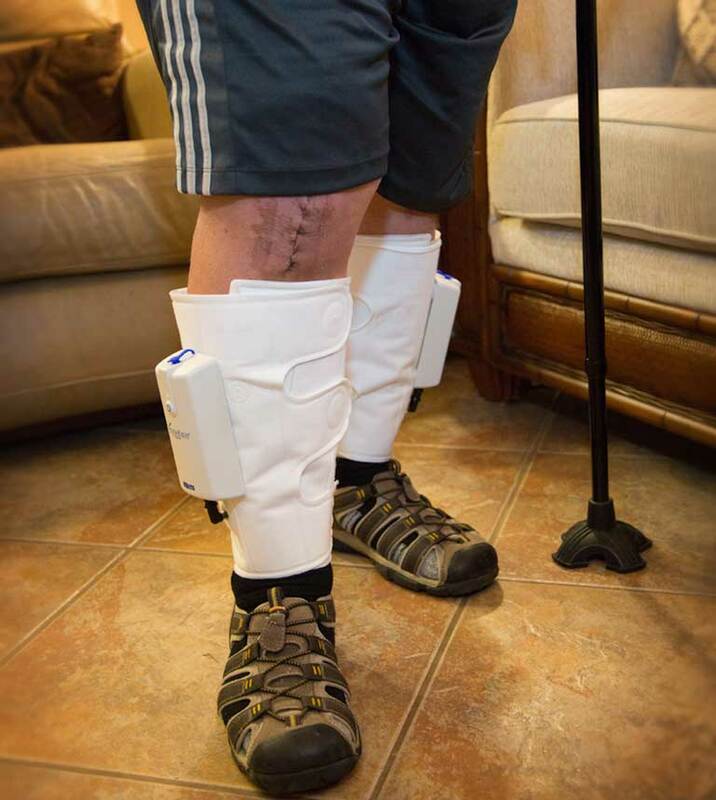 VascuEase™represents a new level of care in the pneumatic compression device category for preventing DVT for all non-ambulatory patients during hospital stay or while recovering at home. Every minute, the device inflates the leg cuffs for 15-seconds at 50 mmHg for increasing venous outflow and preventing pooling of blood. Immediately the cuffs deflate for 45-seconds which allows for venous refill. Mimicking the physiology of emptying and refilling of the leg veins helps prevent venous stasis. The fully integrated lithium ion battery supplies 20 hours of uninterrupted DVT prevention on a single charge. Portable, lightweight, and free of tubes and hoses help prevent accidental falls. The VascuEase™with “one-size fits all sleeves” promotes maximum comfort, compliance, and positive results. DVT prophylaxis is not covered by Medicare, but it is by some private payers for home use only. VasoCARE uses E0676 to bill for the VascuEase™Portable DVT System for home use. VascuEase™ DVT Device VascuEase™ - Home DVT Prevention VascuEase™ - Significantly Reduces Cost Why Prescribe the VascuEase™?